New Retail Development is positioned on Dixie Highway just south of Williams Lake Road in Waterford. 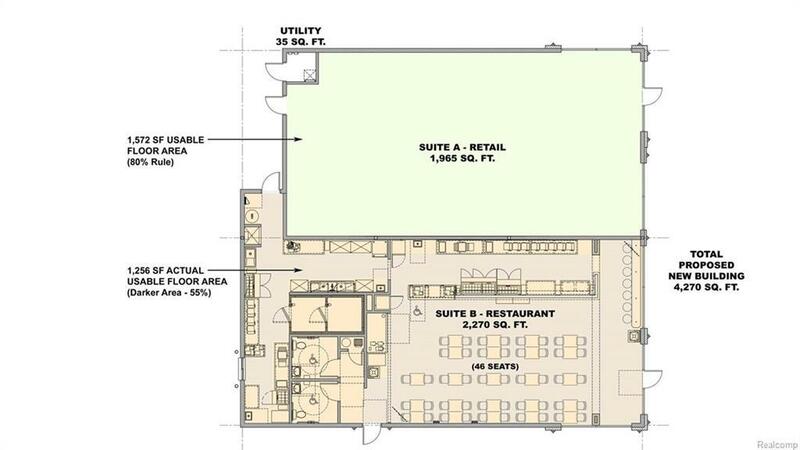 1200 - 4000 SF available. This New development sits on 0.68 acres of land and offers great visibility, morning-side traffic and is drive-thru capable. With over 25,000 employees within 3 miles this could be best suited for fast casual or quick serve restaurants. Also desirable for financial institutions and service oriented retail. $50,000 annually on a ground lease / BTS rent to be determined / End cap drive thru - $34 psf NNN / Inline and north endcap - $29 psf NNN / Sale Price $499,000. 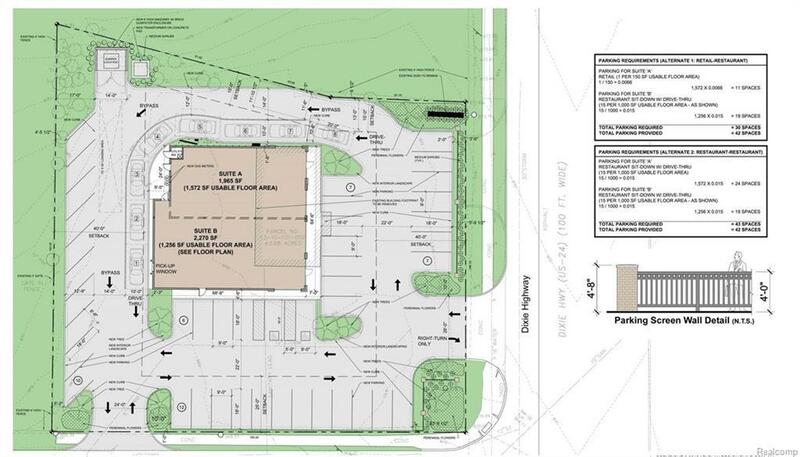 Site Planned Approved for Drive-Thru!